Sinful Colors Black Magic contains micro charcoal and small orange glitters. Shown is 3 coats with top coat. Find Sinful Colors in store at Walgreens, Walmart and Target. I have only seen this polish at Walgreens, so if you are on the hunt for it check there. ;) Follow Sinful Colors on Facebook and Twitter. 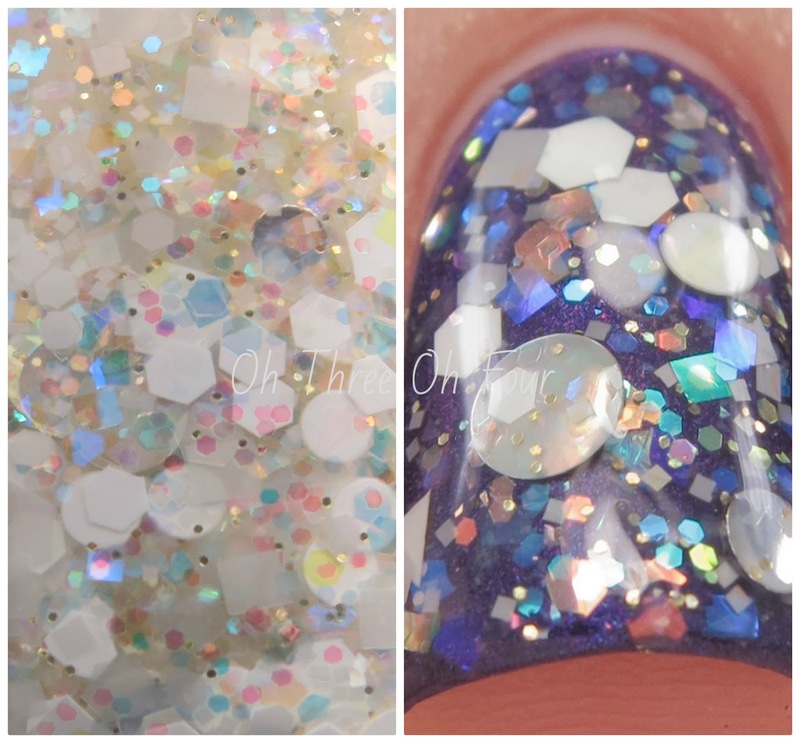 Linda Johansen Razzle Dazzle is a purple jelly loaded with holographic shards. All nails are 3 coats with top coat. Pretty Serious Naughty Night Shift Nurse contains red to orange shifting flakies and blue shimmer in a purple to a red shifting base. These photos show 3 coats with top coat. 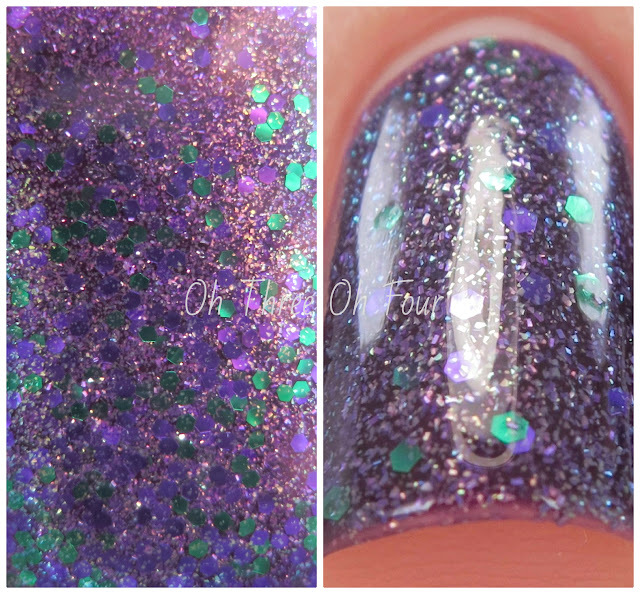 Pretty Serious Emma Louise is described as a is a vibrant violet jelly base with golden green glass fleck, purple micro-glitter, and purple and green hex glitter. Shown is 2 coats with top coat. Both of these colors were limited and are currently out of stock. Sorry! :( Find other polishes from Pretty Serious through their online store. Make sure to follow Pretty Serious on Facebook, Twitter, Instagram, Google+, Pinterest and YouTube. Lumina Lacquer Weird Science is a neon green/yellow texture. All nails are 3 coats with no top coat. Lumina Lacquer Not Your Grandma's Pearls is a mixture of iridescent glitters, white hexes and white and silver circle glitters. Here I used 1 coat over 2 coats of Zoya Belinda. 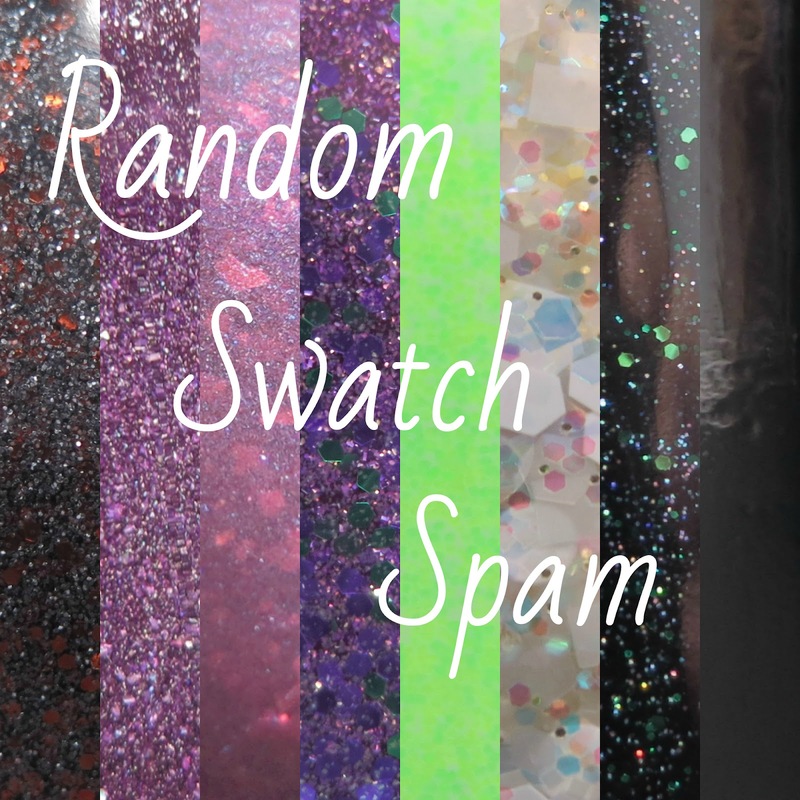 Cult Nails I Got Distracted is a black jelly base with heavy holographic and green glitter. Shown is 2 coats with top coat. Cult Nails Nevermore is a basic black glossy creme. All nails are 1 coat with no top coat. I know it seems silly to show off something so basic, but guys this is the best black creme of all time! ;) Seriously though it's very shiny and gave complete coverage in just 1 coat. You can't ask for more than that! Purchase Cult Nails through their online store. Follow them on Facebook, Twitter and Instagram.